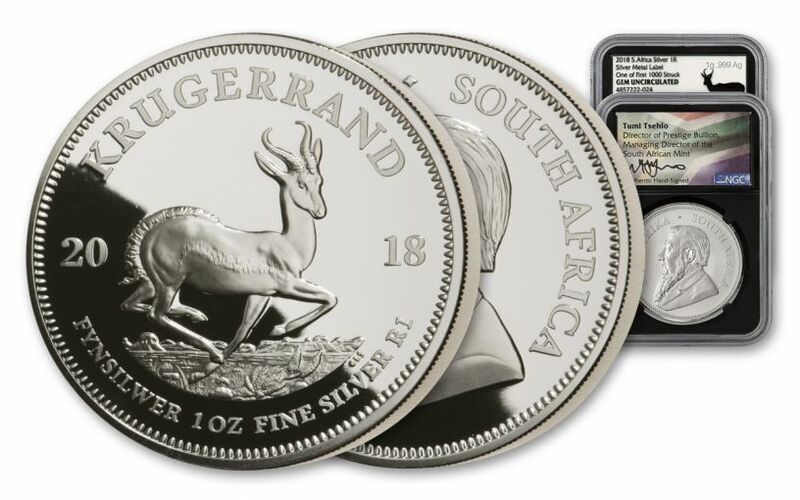 Your 2018 South Africa One-Ounce Silver Krugerrand has been graded by the Numismatic Guaranty Corporation (NGC) being in Gem Uncirculated condition, meaning that your coin is the product of a superb strike that places it firmly among the elite of the run. 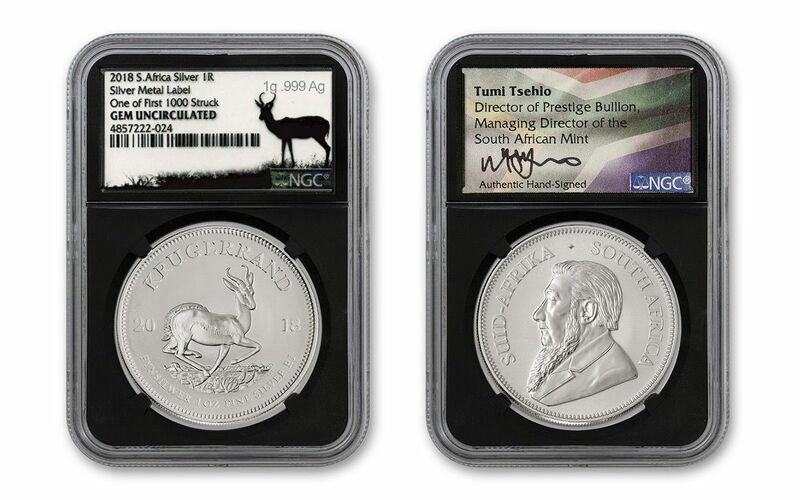 Your coin will also be certified by NGC as being one of the first 1,000 coins struck in the release – independent authentication that your Silver Krugerrand was one of the very first struck! 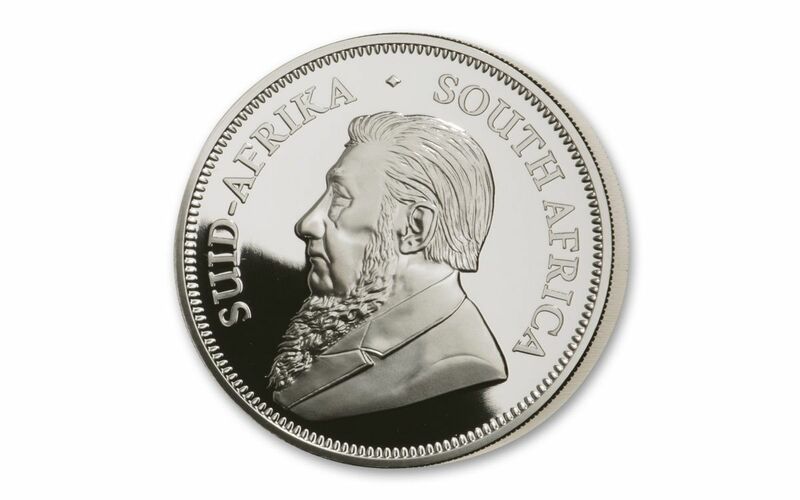 In addition, your silver Krugerrand will come sonically sealed in an acrylic coin holder with an exclusive silver label that was minted in a full gram of 99.9% silver and personally signed by South African Mint Managing Director Tumi Tsehlo. 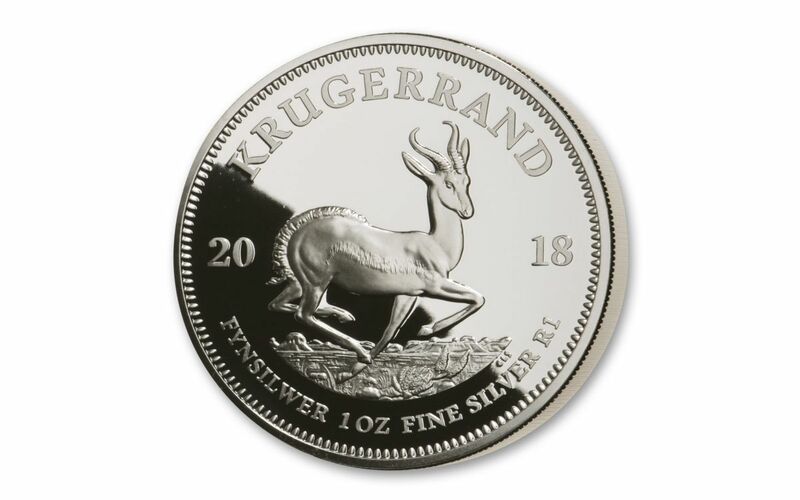 GRADED IN GEM UNCIRCULATED CONDITION – Your 2018 South Africa One-Ounce Silver Krugerrand has been graded by the Numismatic Guaranty Corporation (NGC) as being in Gem Uncirculated condition, meaning that your coin is the product of a superb strike that places it firmly among the elite of the run.